Benjamin J. Gamel (born May 17, 1992) is an American professional baseball outfielder for the Seattle Mariners of Major League Baseball (MLB). He previously played for the New York Yankees. Gamel attended Bishop Kenny High School in Jacksonville, Florida. The New York Yankees selected Gamel in the 10th round of the 2010 Major League Baseball draft. He signed with the Yankees and made his professional debut with the Gulf Coast Yankees of the Rookie-level Gulf Coast League. He played in 2011 for the Staten Island Yankees of the Class A-Short Season New York-Penn League and in 2012 with the Charleston RiverDogs of the Class A South Atlantic League. He began the 2013 season with the Tampa Yankees of the Class A-Advanced Florida State League before being promoted to the Trenton Thunder of the Class AA Eastern League. He returned to Trenton in 2014 and played for the Scranton/Wilkes-Barre RailRiders of the Class AAA International League in 2015. The Yankees added him to their 40-man roster after the 2015 season. After attending spring training, Gamel began the 2016 season with Scranton/Wilkes-Barre. 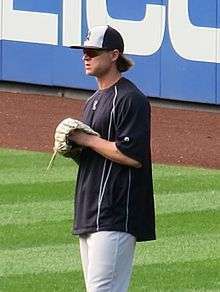 The Yankees promoted Gamel to the major leagues on May 5, and he made his major league debut as a defensive replacement on May 6. He spent the majority of the 2016 season with Scranton/Wilkes-Barre, and won the International League Most Valuable Player Award. On August 31, 2016, the Seattle Mariners acquired Gamel from the Yankees for minor league pitchers Jio Orozco and Juan De Paula. His brother, Mat Gamel, has played in Major League Baseball and was briefly in the Yankees organization in 2015. ↑ "Bishop Kenny's Ben Gamel drafted by Yankees; five others with area ties picked in second day". jacksonville.com. Retrieved May 24, 2015. ↑ "Ben Gamel of Bishop Kenny will sign with Yankees". jacksonville.com. Retrieved May 24, 2015. ↑ "EL All-Star Gamel earning plaudits for strong start". trentonian.com. Retrieved May 24, 2015. ↑ "Yankees protect three from Rule 5 Draft". New York Yankees. Retrieved February 17, 2016. ↑ "Pregame notes: Sent to Triple-A, Gamel still firmly on big league radar". lohud.com. March 20, 2016. Retrieved May 10, 2016. ↑ "OF Ben Gamel joining Yankees". SNY. Retrieved May 10, 2016. ↑ "Yankees survive crazy 9th inning to top Sox Republican American Mlb". Retrieved May 10, 2016. ↑ Jennings, Chad (August 30, 2016). "Ben Gamel named International League Player of the Year". The Journal News. Retrieved August 30, 2016. ↑ "Ben and Mat Gamel relishing chance to play together with New York Yankees". yesnetwork.com. Retrieved May 24, 2015.